We’re so thirsty for Apple Watch information that we lapped up the arrival of WatchKit – the tool for developers to start making wearable apps – like manna from heaven. Tim Cook announced that the WatchKit API would be released to developers in November, so that they can start creating apps for the Apple Watch’s eventual release in “early 2015”. The news came at Apple’s iPad shindig last night, in which it announced new iPad Mini 3, iPad Air 2 and a new iMac with a 5K screen that looks the business. Back on the Watch news, Apple announced that it has already given WatchKit to a handful of partners, and that there were already apps by American Airlines, Pintrest, MLB and Honeywell. "We've had a great reception from the tech industry," Cook said of Apple Watch, "but we've also had a great reception from people who know a lot about fashion and style, and people who know a lot about watches." 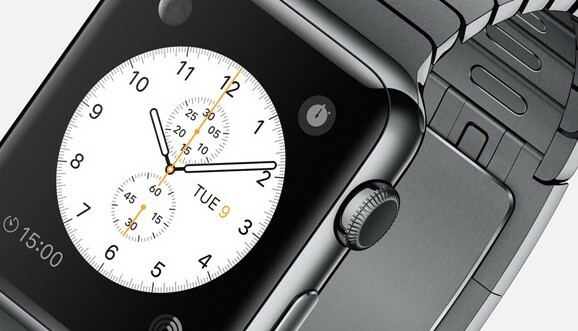 Is the Apple Watch the most anticipated wearable device? Let us know using the comments below.